In 1871, the governor of Baghdad, Midhat Pasha, re-established Ottoman rule in the province of Al-Hasa (eastern Saudi Arabia), and attempted to extend Ottoman jurisdiction as far as Doha. They had ruled Al-Hasa 300 years before and considered Qatar to be part of that province. The Kuwaiti ruler, an ally of the Ottomans, Sheikh Abdullah bin Sabah, was sent to Qatar with four Ottoman flags in order to persuade the Al Thani to accept Ottoman rule. Sheikh Jassim bin Mohammad Al-Thani, the eldest son of the Mohammed bin Thani and by now effectively the ruler on behalf of his aged father, accepted one of the flags and hoisted it above his own house. A second flag was given to his father Sheikh Mohammad bin Thani, who, perhaps conscious of his previous commitments to Britain, continued to fly the Arab flag above his house in Doha and sent the Ottoman flag to Wakra. The other two went to Al-Khor (then Khor al-Shaqiq) and Khor Al-Udaid (now on the Saudi side of the border in the south). Shortly after, the Ottoman authorities at Al-Hasa sent a detachment of 100 troops and a field gun to Doha under the command of Major Ömer Bey, which arrived in December 1871. They installed themselves in the former Musallam fort between Doha and Bidda, which became known as Qal’at Al-Aksar. Sheikh Jassim was given an Ottoman rank, qaim-makam, and the administration was entrusted to his hands. On the 18th of December 1878, Sheikh Mohammed bin Thani died. He was succeeded by his son, Sheikh Jassim bin Mohammed Al-Thani, who had already been acting as ruler for some years. Doha was attacked several times by members of the Bani Hajir, Naim, Manasir and Awamir tribes. In 1884 the imminence of an attack by the Ajman tribe was so great that no one dared to go to the pearl fisheries that season. Sheikh Jasim’s relations with the Ottomans became strained over the years as they failed to support him during a long dispute with Zayed bin Khalifa of Abu Dhabi. Things deteriorated further when the Turks attempted to establish a customs house at Bidda. In response Jasim attempted repeatedly but unsuccessfully to resign as qaim-makam, and eventually retired to Dha’ain, a small coastal village just next to Sumaisma. Once there, he declared that he was no longer responsible for the administration of the country, which would in future be ‘first referred to God and then to the Turkish Government’. However, Sheikh Jasim’s tactical retreat created lawlessness in Bidda. In July 1887, two British Indian Banian traders were attacked and wounded by the residents of Bidda. All the British Indian residents at Bidda were subsequently removed to Bahrain and a fine was eventually levied by the British. A drawn-out war with Abu Dhabi, triggered by disputes over the ownership of Khor Al-Udaid, came to a climax with a raid on Doha that resulted in the death of the son of Sheikh Jassim. Retaliatory raids by Qatari forces reached as far as the Bani Yas heartland in the Liwa Oasis in 1889. In protest at Ottoman administrative reforms, Sheikh Jassim once again attempted to resign as qaim-makam, and stopped paying taxes. In a heavy-handed response, Mehmed Hafiz Pasha marched into Qatar with more than 200 soldiers, 100 mounted gendarmes and 40 cavalry, and arrested Jassim’s brother and other leading men of Doha. Jassim moved to Wajbah, then 12km west of Doha, with his Bedouin allies (Manasir, Bani Hajir and others), and the Turks moved to meet his forces. Facing unexpected resistance and overwhelmed by numbers, the Turks retreated back to their fort in Doha, losing half their forces along the way. It was unquestionably a humiliation for the Turks, but to avoid losing what little foothold they still retained in Qatar, and in the light of the recommendations of the Sultan himself and following an investigation, the Ottoman government did not avenge this defeat but pardoned Jassim and allowed the previous status quo to be restored. By the time of the visit of Hermann Burchardt, who provided the first photographs of the town, Doha and Little Doha (including the Turkish fort) seem to have been regarded as a single component and a new district of Doha had sprung up: Salata. His photos of the fort confirm his observation the Turkish garrison was under-resourced and in decay. On January 26 we arrived in Doha, where the garrison of Qatar is stationed. I was quartered with the Commander, a major…Three neighbouring towns are distinguished. Doha, with the garrison, and al-Bida’a, and As-Solata. The garrison consisted of 1 tabur [250 men at most] with two old cannon. Soldiers, military officers, and administrative officers with their families dwell in miserable mud houses, and the state of health is not good; particularly common are eye diseases. At one time scurvy was also common; better nutrition for the soldiers has eliminated this disease completely. A long row of larger boats used in pearl diving testified to the importance of this enterprise. In the pearl season, the number of inhabitants here swells by thousands; all foodstuffs rise in price, and often 1/4 talleri is paid for a goatskin of fresh water. An old, intelligent Arab said that pearl diving isn’t such a profitable livelihood at all. It involves a respectable amount of capital, for equipping a good sailboat with food and advances for the crew require at least 15,000 rupees, and only in exceptional cases can one count on greater interest than 4 per cent. Soon after the Battle of Wajba, the elderly Sheikh Jassim had moved into semi-retirement in Lusail, delegating the running of Doha to his younger brother, Ahmed. Jassim might have considered Ahmed to be his natural successor as ruler, but in December 1905 Ahmed was assassinated by a disgruntled tribesman, and Jassim once again had to take up full responsibility. By pearl diving, sea fishing and a small maritime carrying trade. About 850 pearl-boats, 60 sea-going boats running to Oman, the Persian Coast and Basrah, and 9- fishing boats are owned at Dohah. Pearls are the only export…Foreign trade is chiefly with Bahrain…Dohah itself possesses only one well of brackish water, named Ain Walad Sa’id, which is a half mile to the south of the Dohah quarter, but there is a group of others called Mushairib with fairly good water, at 1 mile to the west of the Doha quarter. Three miles inland is Bir-al-Jadidah, a large masonry well of indifferent water on which the town mainly depends for its supply. A mile beyond to the southwards are the wells of Na’aijah, from which the Sheikhs of the Al Thani, the other notables of Dohah town, and the officers of the Turkish garrison obtain their drinking water. The Turkish troops obtain most of their water from Mushairib, where there is a military outpost of 8 men in a tower to watch the wells. The soldiers now have a vegetable garden at this place; and scurvy, which was formerly common among the garrison, has disappeared. On the 17th of July 1913, Sheikh Jassim bin Mohammed al-Thani died while still in office. 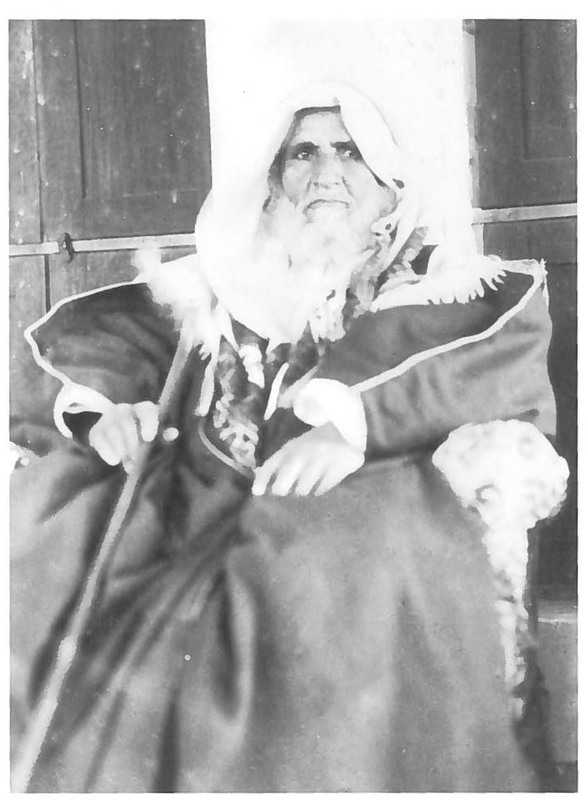 He was succeeded by his son, Sheikh Abdullah bin Jasim an-Thani. Sheikh Abdullah had been the ‘right hand man’ of Sheikh Jasim for several years, and the succession was a peaceful one. Tuson, P. (1991) Records of Qatar 1820-1960. Vol. 5 1916-1935. Archive Editions. In 1913 an agreement was made between Britain and the Ottomans for the latter to withdraw from Qatar. This was part of a wider agreement intended to define the limits of Ottoman jurisdiction in the Gulf. The provisions were not enacted in Qatar, however, and the Ottoman garrison remained in place until 1915. On threatening to land troops from [the ship] Dalhousie the fort and trenches were evacuated by the Turkish detachment during the night. This morning an armed party was landed without opposition and seized store(s) which included one mountain gun, two field guns. The breech blocks of these guns had been removed. Besides tents there were 14 rifles, 120 cases ammunition and 500 projectiles. For the field guns no powder was found. The ammunition and rifles and part of the military stores were on the advice of the Political Officer given to the Sheikh of Qatar who has given us every assistance. The projectiles, tents and military stores were destroyed as all the Tangistani dhows have for some time been in hiding but the guns were taken on board HMS Pyramus. So ended the 43 years of Ottoman control in Qatar.